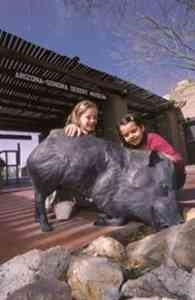 Find museums in Arizona and other fun things to do. View our list of attractions, activities, events, restaurants and visitor information. Located in Kingman's historic Train Depot, dating back to 1907, the Kingman Railroad Museum houses displays of railroad artifacts and three model train layouts. The Mohave Museum offers a good introduction to the history of Northwestern Arizona. Dioramas & murals show development from prehistoric times to the present.